Stephen Alter was raised by American missionary parents in the hill station of Mussoorie, in the foothills of the Himalayas, where he and his wife, Ameeta, now live. Their idyllic existence was brutally interrupted when four armed intruders invaded their house and viciously attacked them, leaving them for dead. The violent assault and the trauma of almost dying left him questioning assumptions he had lived by since childhood. For the first time, he encountered the face of evil and the terror of the unknown. He felt like a foreigner in the land of his birth. This book is his account of a series of treks he took in the high Himalayas following his convalescence—to Bandar Punch (the monkey’s tail), Nanda Devi, the second highest mountain in India, and Mt. Kailash in Tibet. He set himself this goal to prove that he had healed mentally as well as physically and to re-knit his connection to his homeland. Undertaken out of sorrow, the treks become a moving soul journey, a way to rediscover mountains in his inner landscape. 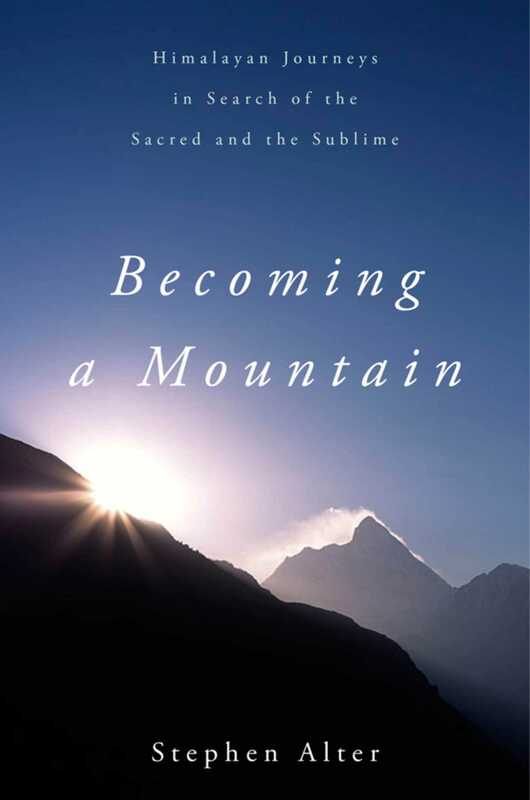 Weaving together observations of the natural world, Himalayan history, folklore and mythology, as well as encounters with other pilgrims along the way, Stephen Alter has given us a moving meditation on the solace of high places, and on the hidden meanings and enduring mystery of mountains. Stephen Alter is the author of fifteen previous works, including Becoming a Mountain, winner of the 2015 Kekoo Naoroji Book Award for Himalayan Literature. His other honors include a Guggenheim fellowship and a Fulbright award. He was writer in residence for ten years at MIT and directed the writing program at the American University in Cairo. He is founding director of the Mussoorie Writers' Mountain Festival and resides with his wife in Mussoorie, India.